GORGEOUS RANCHER, 3,026 sqft, bright & open. Spacious living & dining rooms, gourmet kitchen, lots of cabinets & counter space. Master with walk-in closet & luxurious spa like bath. 2 large bedrooms, full bath & laundry on main level. Large 3 car garage. Unfinished basement. Super Energy Efficient! CUTE RANCH STYLE HOME, Evergreen Hts. almost 1500 sqft, 3 bedrooms/2 baths/3 car garage. Inviting front porch, great room opens to the dining area. Awesome kitchen with lots of cabinets & counter space. Spacious master with adjoining bath & walk in closet. Custom options available. Energy efficient. OUTSTANDING VIEWS await on this lovely parcel. 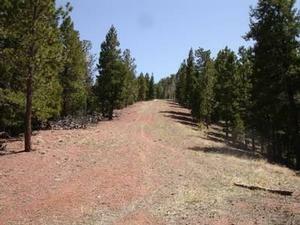 11+ acres, in town, Woodland Park. 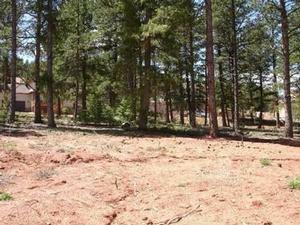 Can be a large private oasis or divided into 3 individual homesites, all with wonderful building sites & views. 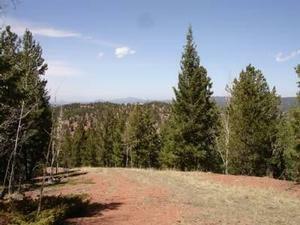 270 degree views take in Woodland Park Valley, Rampart Range and Devils Head. 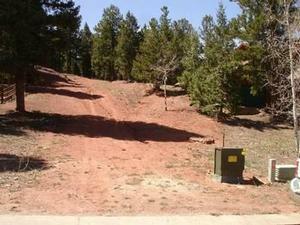 Close to park & trails..
ONE OF THE LARGEST LOTS in Cripple Creek Mtn Estates, 3.2 acres, this parcel has it all; views aspens, pines, great building site & almost at the end of the small cul-de-sac. 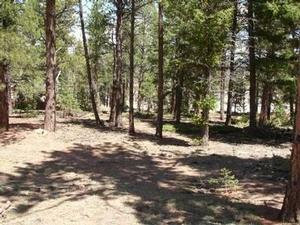 Lot is perfect for a walk-out lower level home. Power at lot line. Close to Cripple Creek, National Monument & hiking trails. 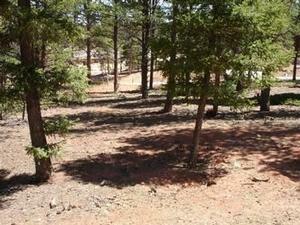 VERY NICE VIEWS in this tranquil setting amidst the pines & aspens. Easy rear round access. Community building includes gym & swimming pool. Close to all the fun in Cripple Creek & National Monument for trails for horseback riding, biking & hiking--or just build your get-way away from the hustle & bustle. 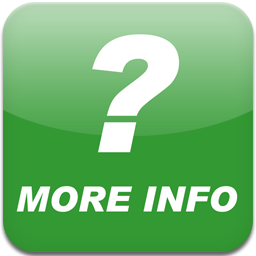 LARGE LOT in the fishing community of Wilson Lake Estates. Very easy access to Highway 24. Nicely treed for seclusion. Horse property. Located at the end of the cul-de-sac. Great fishing community with use of clubhouse, trash dumpsters and stocked fishing lake.